Posts related to Switzerland, the country, the finances inside Switzerland or even its food. Find out the best things about Switzerland and find out about the worst ones as well. Is DEGIRO really cheaper than Interactive Brokers? Author Mr. The Poor SwissCategories Investing, Switzerland14 Comments on Is DEGIRO really cheaper than Interactive Brokers? You may have read that I am using DEGIRO has my broker. In fact, I chose DEGIRO mainly because of its very low fees. I am very satisfied with my experience with DEGIRO. I have not had a big problem since I started using it, about a year ago. Interactive Brokers is also a very popular broker. It has been there for much longer than DEGIRO who is a very young broker. And it also has very low fees. When I chose DEGIRO over Interactive Brokers, I did it because I thought it was cheaper. 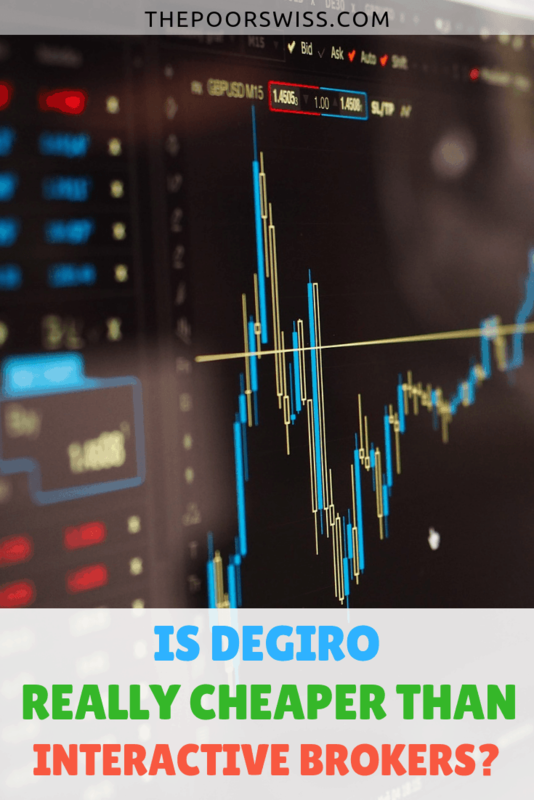 In this post, we are going to compare once again DEGIRO and Interactive Brokers. I am going to do the comparison in details including the two different account types of DEGIRO. In the default account of DEGIRO (Basic), your shares can be lent to other investors. This is not something that is done by default with Interactive Brokers. Therefore, my previous comparison was not very fair! This time, I am going to try to make it better. Our food budget is something that we are managing to keep quite low. Last year, it was still too high. So I changed some of my habits and how we manage to keep our food budget around 400 CHF on average. For two people. This may seem high. But for Switzerland, I think it is quite reasonable. And several months we are quite lower than this. It is the months we are inviting many people over that are increasing the average. To reach this low food budget, we are doing several things. And by following these simple tips, you can also keep your food budget low! Mainly, the idea is to compare several shops and only shop where you can get the best bargain. If you want to go all the way, you should compare each shop for each product. But who got the time? The idea is more to select one cheap shop as the main shop and then buy some cheaper things in other shops but less often. So, in this post, I am going to list 7 simple things we do, and that you could do too, to keep our food budget low. Is VIAC the best third pillar in town ? Author Mr. The Poor SwissCategories Investing, Retirement, Switzerland4 Comments on Is VIAC the best third pillar in town ? My third pillar is invested at PostFinance in the PostFinance Pension 75 fund. This is a fund that invests mostly in Switzerland, with 75% of stocks. It is not a bad fund at all. However, a few things made me want to reconsider this third pillar. First, the TER is a bit high. You pay 0.98% for holding this fund. It is not really bad since TER for retirement funds in Switzerland is quite high. This is already one of the best funds. But it is always better to reduce that TER even further when possible. Secondly, PostFinance recently increased its account fees. Before, I was not paying anything for all my accounts at PostFinance. However, I will now have to pay 60 CHF per year to keep my money at PostFinance. Therefore, it is time to change. I am in the process of switching to Migros bank for my bank accounts. But I need to find a new third pillar provider to replace the one from PostFinance. And also, it has been a while I wanted to study in details VIAC. This is a new provider of third pillars. It has some very interesting advantages. PostFinance increasing fees – Migros the best Swiss bank ? Author Mr. The Poor SwissCategories Investing, Switzerland17 Comments on PostFinance increasing fees – Migros the best Swiss bank ? I have used PostFinance as my bank for a very long time now. I have used it ever since my first pay, 14 years ago. For the most part, I am quite satisfied with it as a bank. I have a checking account and a few savings account on PostFinance. And I also have my third pillar on PostFinance. I was thinking of staying at PostFinance for most things except for my third pillar which I was thinking of moving to VIAC. However, it seems they decided otherwise. Currently, I am not paying anything for my accounts. But PostFinance just announced that they are increasing their fees significantly (Source). Starting in January 2019, I am going to have to pay 60 CHF per year for my account. This is not acceptable to me. The service will be exactly the same but for a higher price. I know this is not a lot of money. But this is the kind of things we should fight against. So I am going to change bank as soon as possible. In this post, I am going to discuss the new fees and the options I have as a new bank in Switzerland. I have lived in a small village all my life. Actually, I have lived all my life inside the same village. And I do not really want to change this. A lot of people find this very surprising. Today, we are going to discuss why anyone would want to live in a small country village. For me, there are too many advantages of living in the countryside and especially in a small villages. Of course, there are also disadvantages and some people may not like it. But for me, it is great :) In this post, we are going to focus on the main reasons why I love living in our small village. The steps are not really intuitive and take a lot of time (and money). For us, it was a bit overwhelming. In this post, we are going to cover all the steps that we had to do. From the application in China to the reception of the residence permit in Switzerland. 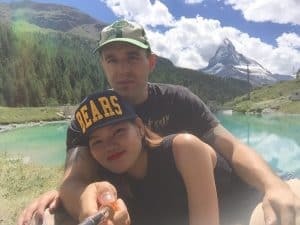 This should help any Chinese that wants to get married in Switzerland to get a Visa for this! Before you do any procedure, there is one thing you need to decide together. The wife can take the name of the husband after the marriage. This is optional. This can surprising since people do not change their name after marriage in China. Even if the wife is from China, she can decide to change her name after the marriage. However, her name in China will not change. And you will also need to decide which name will the children take. In our case, Mrs. The Poor Swiss decided to take my name after the marriage and our future children will take the same name as well. This is an important decision of course for the couple. I am selling a lot of things online. For this, the main site I am using is Ricardo. This is an auction website. You set a start price and an optional instant price and people can bid on your item. The highest bidder will win after a set time for the auction. I have found out Ricardo to work quite well for my needs. I have made several hundreds of Swiss francs on this website. However, Ricardo is not free. You pay some fees to sell your things online. Even though I would prefer using a free service, I found out that my things sell better on Ricardo than on free alternatives. Yesterday, Ricardo just announced that they updated their fees. The new fee model will be active from September 13th. 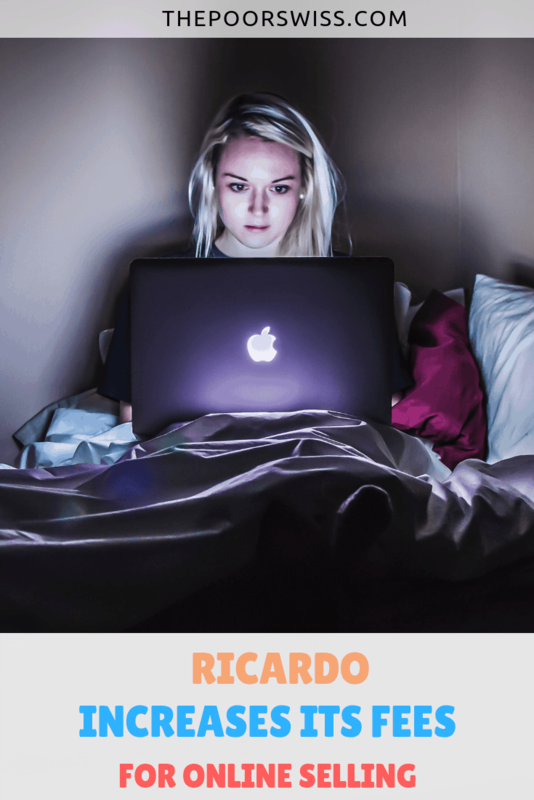 In this post, I am going to describe the changes and exactly what this means for you if you want to sell things online on Ricardo. We are going to look at when you are actually saving money compared to before and when you are losing money. Our wedding ceremony in Switzerland on a budget! Author Mr. The Poor SwissCategories Frugality, Switzerland6 Comments on Our wedding ceremony in Switzerland on a budget! No, I am not writing the same post twice! You may remember, that we got married in Switzerland in May. At that time, we did a small civil wedding with my close family, followed by a small party at our places, joined by some of my friends. We did not have much time, so we decided on doing something really simple. However, many of our friends and family could not come. So we decided to throw a bigger party to have more people join us. In this post, I am going to share what we did for our wedding. It was a great time for us and our guests! I am also going to discuss the costs, personal finance blog obligation! Mrs. The Poor Swiss, my wife, recently started the procedure to get her driving license in Switzerland. The procedure is not too difficult. But not all the steps are obvious in the process. My wife is Chinese and she already had a driving license from China. This is what is going to interest us in today’s post. 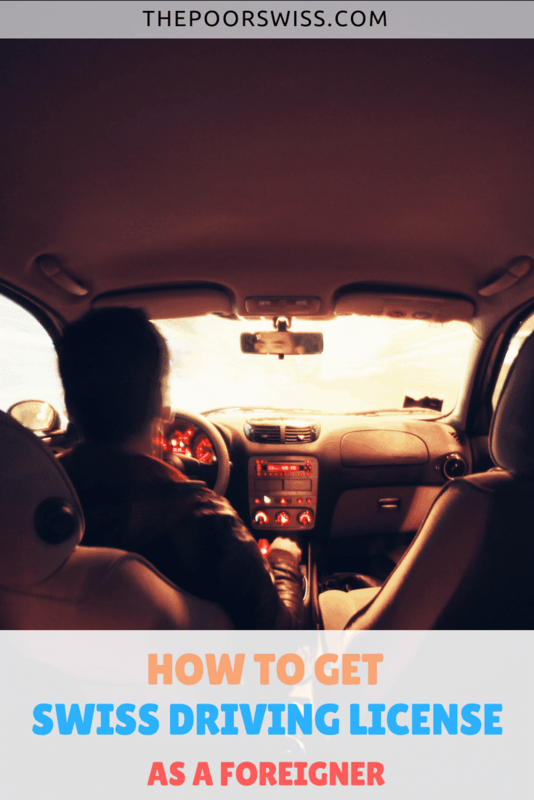 In this post, I am going to explain the different steps in getting a Swiss driving license for a foreigner. First, it depends if you already have a driving license in your country or not. If you already have a driving license, it will depend on your country. Since Mrs. The Poor Swiss is Chinese, this post will have a Chinese bias but I am going to try to cover other countries as well. Last week, I published a list of things I hate about Switzerland. Even though there are some things I really dislike about Switzerland, I love living in Switzerland. 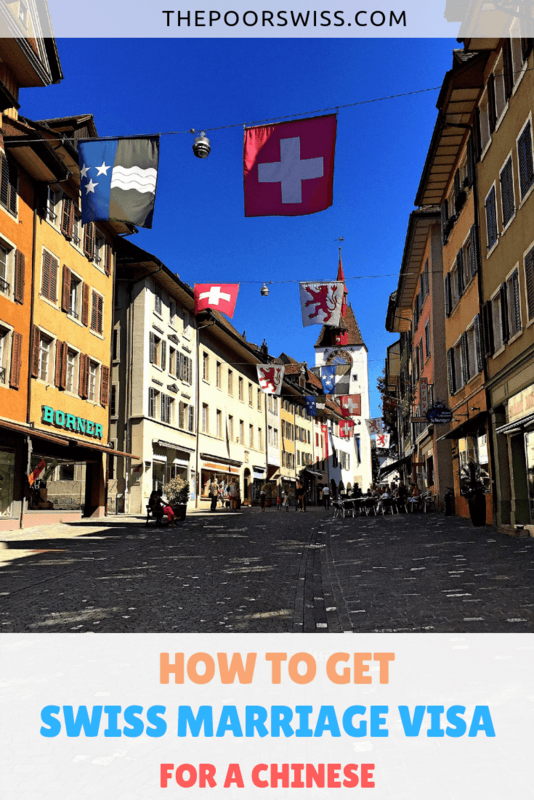 In this post, I am going to list the things I really love about Switzerland. While there was only 5 things in my hate list, there are 11 in my love list :) And there are not the only things I love about Switzerland. This tells you that I really have many more things I like about it than things I do not like. Before you read what I love about Switzerland, you should be aware of my situation :) You have to remember that I live in the Swiss countryside. I live in a very small village. And I do not like cities. Some people like cities more than villages. But I would hate living in a city. I also like hiking a lot and I like being outside. This will be reflected in some of the things I like the most about Switzerland.